Happy Fourth of July everyone! Feeling blessed to live in this great country, especially today! I’m so proud to be an American and I’m grateful for all the men and women who have fought and continue to fight for the many freedoms we enjoy. 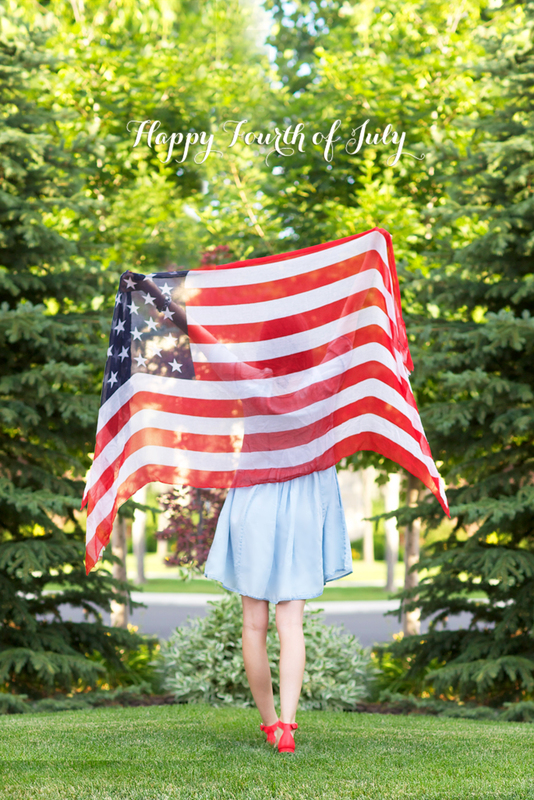 Wishing you and your family a safe and happy Fourth of July. God bless the USA. I love the composition of this photo! Well done. Happy Fourth of July to everyone! Love this look! That Anthropologies dress is gorgeous! Hope you have a great holiday! love the patriotism, here! and that dress is the cutest! This is such a great photo! Happy Fourth! So cute! Happy fourth of July! Great picture!! So thankful to everyone who has fought for our freedom! Happy 4th of July!! Looooove this photo! Happy Independence to you and all the American out there. Love the colour of your dress. Happy 4th of July Rach! Thank you for creating such a beautiful blog. I always look forward to your posts each and every day. I hope you have a fun and safe holiday with your family and friends. Love the Anthropologie dress! Hope you have a happy Fourth of July! Happy Birthday, America! I love this picture. Well done, Rachel. Wow! This is so festive and adorable. I love it! Happy 4th of July to you too! Happy 4th of July to you and all of your followers. I love this pic very simple & natural! I live in America since 2005 I belong to this country now and I’m proud of it! Happy Fourth of July! Hope you had great one! great pick i love anthropologie!!! Such a cool photo. I hope you had lovely Holiday.